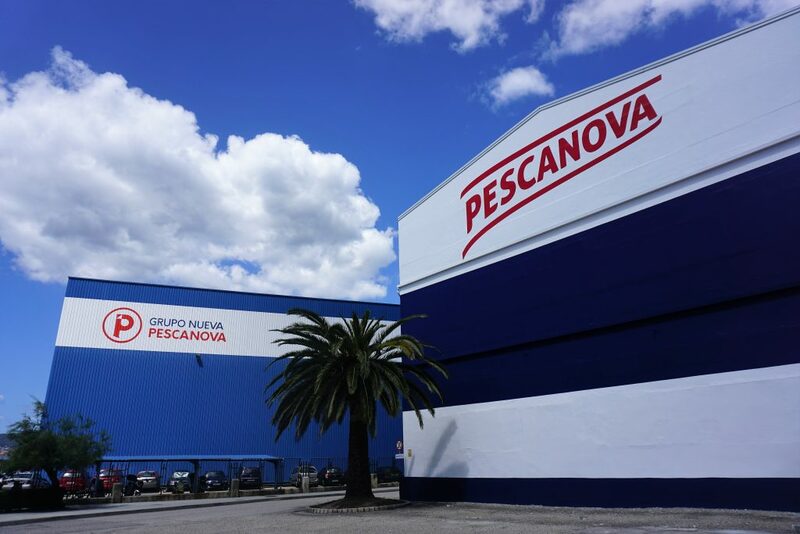 The extraordinary category Best Global Corporate Communication Strategy prize was awarded to the "The Rebirth of Pescanova” project. 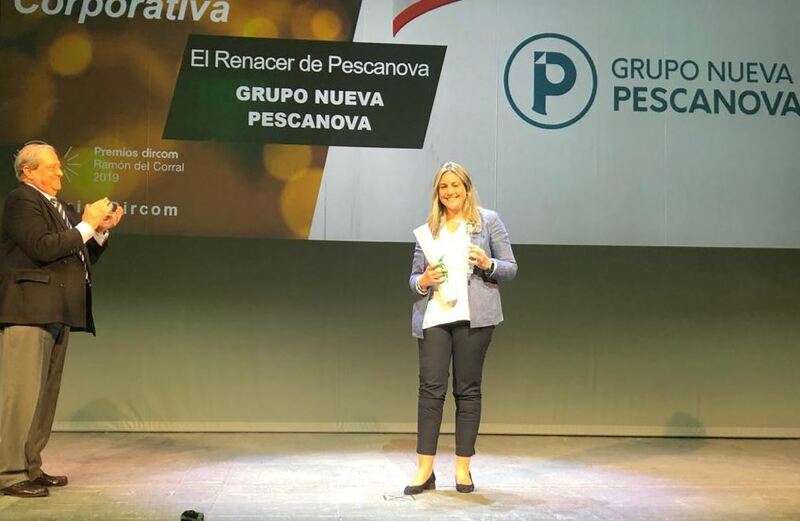 Vigo, 3 April 2019.- The Nueva Pescanova Group has been awarded the Best Global Corporate Communication Strategy Dircom Ramón del Corral Award. The awards ceremony of the Association of Communication Directors, Dircom, a recognition to the best corporate communication in our country, gathered, yesterday in Madrid, more than 400 professionals. The Company won the main category award in this second edition. 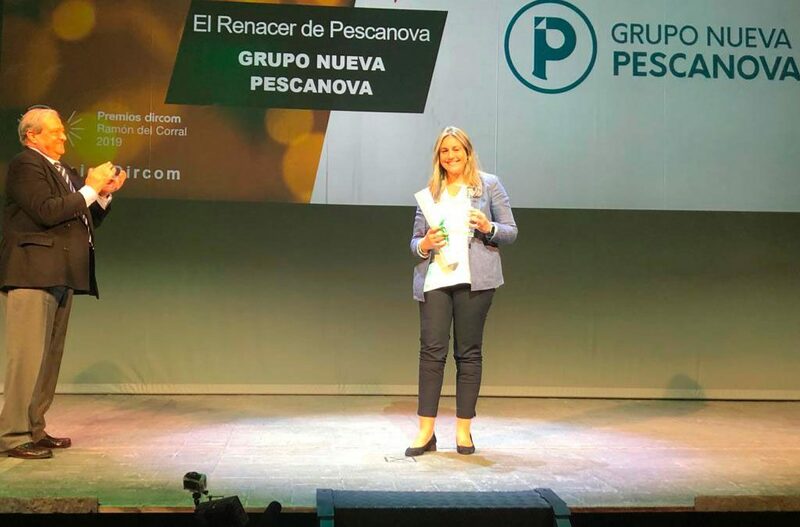 The award-wining project, “The Rebirth of Pescanova”, recognized the company’s ability to combine actions, messages and formats into its communication strategy to take Nueva Pescanova, born at the end of 2015, to the Top 50 Best Reputation Companies in Spain in 2017 and 2018. 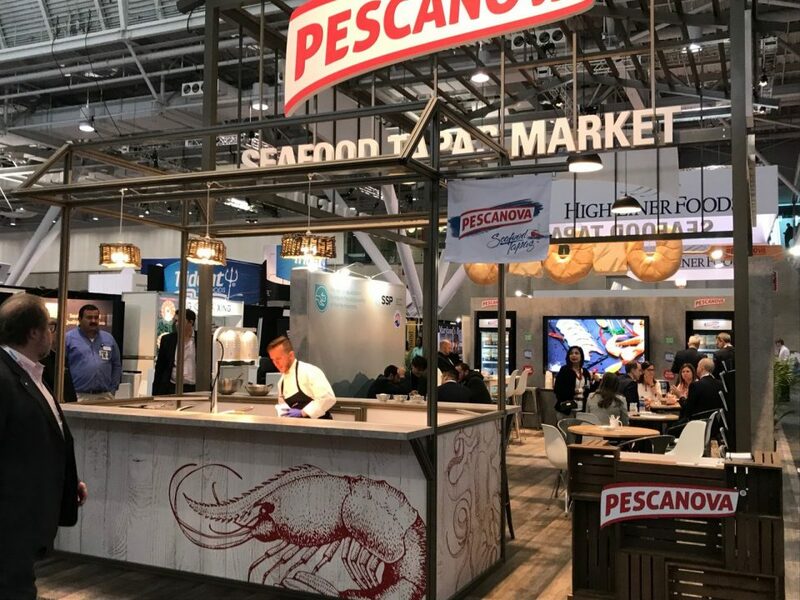 Tesa Díaz-Faes, Communications Director of the Nueva Pescanova Group, highlighted the difficulty in putting together a communication plan bearing in mind the company’s diversity. 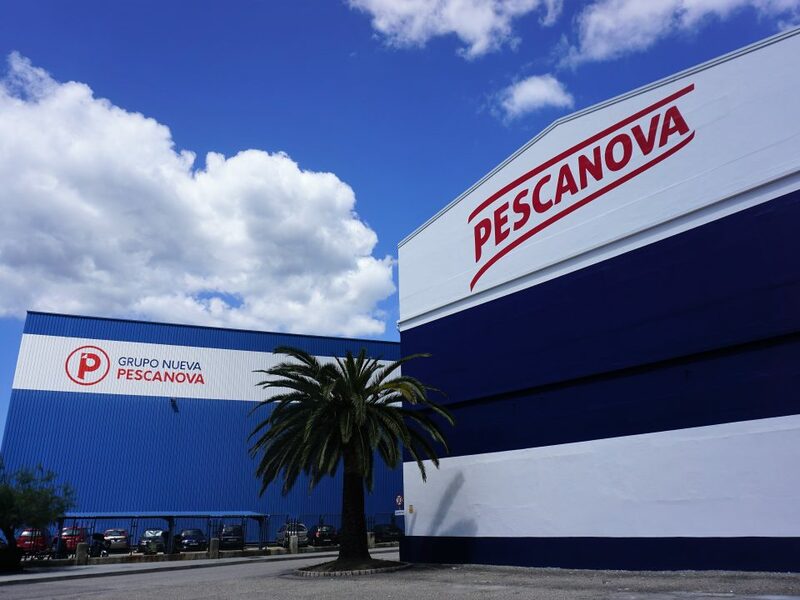 “We are a huge ocean liner, with 11,000 employees, set up in more than 20 countries, in 5 continents, with many different ecosystems such as factories, fishing vessels, offices, aquaculture facilities… The key to this turnaround in communication in the nascent Nueva Pescanova Group, apart from a strategic vision, was the ability to transmit transparency, closeness, optimism, proactivity and authenticity. 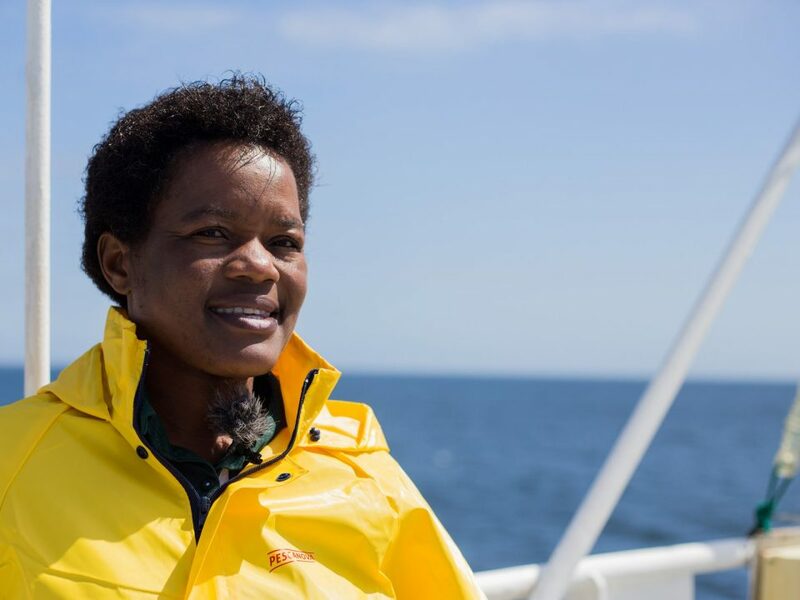 This is what has helped us to recover and gain confidence and grow our reputation before many of our stakeholders, both external and internal”. The Dircom Ramón del Corral Awards recognize the excellence and good PR and corporate communication practices in all its aspects-external, internal and inclusive-rewarding the best communication projects produced or released in Spain. In its second edition there were more than 130 entries classified into 23 different categories. 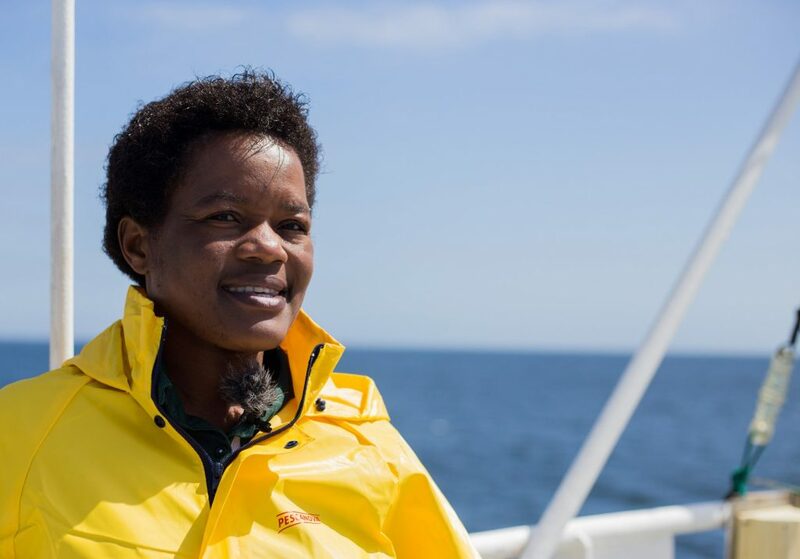 The winners and finalists will represent Spain in the International Awards of Fundacom, the international platform to promote the significance of corporate communication in Spanish and Portuguese speaking countries.